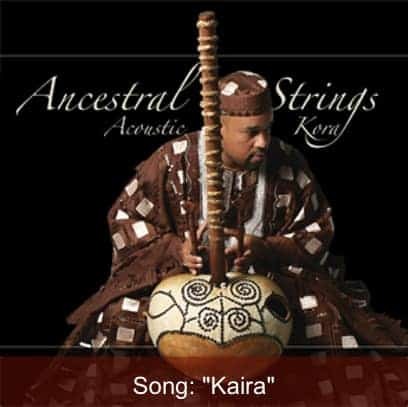 “Kaira” was a very leading musical piece in the career of Sidiki Diabate for he arranged it in a very personal way. According to certain sources, this song would have been created in Kela (Mali) in 1946, and around it a lot of associations of young people being opposed to the French colonizers have formed very early. “It worked against the jazz wave (“zazou movement”) imported from the European West countries”, comment of the booklet of CD : Cordes Ancients Strings, Buda Records, with Sidiki Diabate, DjeliMadi Sissoko, Batrou Sekou Kouyate et N’Fa Diabate). However, “Kaira” made the celebrity of Sidiki Diabate. He went from village in village through Mali, interpreting this song to revive the nationalist feelings and exhort to rejoin partisans in the R.D.A (African Democratic Movement ), independence movement initiated by Modibo Keita, first president of Mali. Thus, as well as for the innovation of its interpretation than by its subject, this song became indeed a “hit”, and still remains today a traditional “standard” of the Malian and Mandenka repertory.